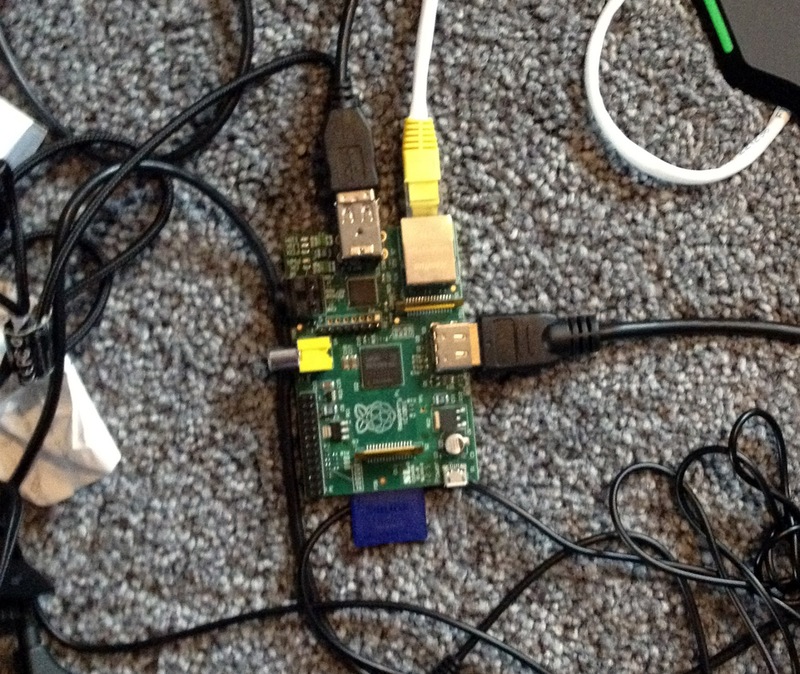 Son2's (12) Raspberry Pi has finally arrived. It's a credit card sized motherboard that you can plug various wires into, connect to mouse, keyboard, ethernet and screen. Then you download some software, install and off you go on your way to learning how to code python for yourself. This morning, he wanders downstairs to my office wearing the same clothes he had on yesterday. "Did you sleep in those?" I ask. "I was too tired to get undressed. But come and look what I've done..."
It turns out he decided not to go to bed after all. 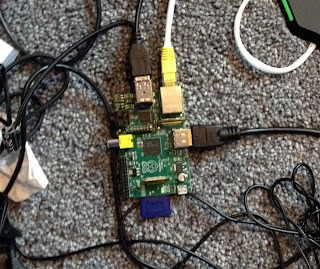 Instead he'd got up and figured the Raspberry Pi out for himself, downloaded the software, followed some instructions in a magazine and installed it all.